Does Subway Deliver Their Famed Sandwiches? Subway sandwiches are great, but the question that’s on everyone’s lips nowadays is: does Subway deliver? For the past years, Subway, the chain of restaurant famed in songs and stories, has been building quite a reputation. Cheap and delicious, the sandwich, which originates from Europe, is a good way to start the day. Having trouble figuring out what to cook? Well, if you’re stuck, you can always try making a sandwich. Perhaps this is the reason why Subway managed to gain so much in popularity. Although their menus are anything but cheap, the chain of restaurants manages to make amends with their generous menus. Subway still has to work on its home delivery system. Subway has a long history in making sandwiches. 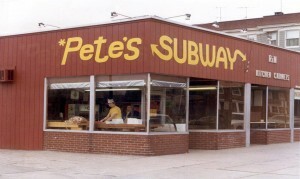 Their first store was opened back in 1965 in Bridgeport, Connecticut by Fred DeLuca and Peter Buck. Most of the customers don’t know this, but the first subway diner bore the name of Pete’s Subway, being named after Doctor Peter Buck, DeLuca’s business partner. As the restaurant’s history shows us, DeLuca wanted to become a doctor, and someone suggested that the best way to keep up with his study bills was to open up a little diner right beside a subway entrance. Peter Buck, DeLuca’s friend, who was a doctor at that time, loaned him some money in order to get started. By 1974, the two entrepreneurs managed to open up nearly 16 new diner all over the country. Today, after the brand went through several cosmetic surgeries, Subway own over 44.000 locations all over the world, including India, Australia, and Eastern Europe. Home delivery is a local policy. On the subject of getting popular, it would seem that the delivery service isn’t helping Subway maintain its reputation. Although the dinner writes on its official website that the home delivery service is available, the customers have something else to say. Their services might seem impeccable, but food delivery is an entirely different thing. Like most franchises, Subway has its own neat website. On this site, a customer, apart from reading stuff about the franchise and about its menus can access the “Order now” section. At a first glance, there is nothing out of the ordinary about this section. It kindly greets us with a map of Northern America, and it asks us to search for a restaurant, either entering the name of the town or the zip code. There are two services offered by the Subway delivery service: catering and individual menus. On the right corner of the screen, there’s this little option called “Delivery,” marked with the icon of a pickup van. Now here’s the catch: when you want to order some menus for catering, the “Delivery” box becomes highlighted. After selecting the city, the service and checking the box, the page takes you to the next section where you can customize your menu. Feel free to order extra toppings or to add some cheese to your favorite sandwiches. But this is not the end of the story and neither the answer to our question. So, does Subway deliver? Let’s see. When you click on the individual menu box, the “Delivery” option becomes unavailable as if the some twisted magician wished it away. What is happening? Is this some kind of error? Unfortunately, it is not. According to most food forums and blogs, Subway is not into home delivery. From what we can learn, home delivery is somewhat of a regional policy, meaning that some diners offer this service while others don’t. When officially asked about their home delivery policy, the Subway responded by saying that the company is currently going through a transformation process, and one of the main things on their agendas are the home delivery service. Of course, the company took ample steps to assure its customers that in the near future, this service will become available nationwide. In the meantime, those who want to satisfy their taste buds with a delicious and mouth-watering Sub tuna sandwich, but don’t have the time to visit their local Subway can order via a food partner like foodpanda.com. As for Subway Canada, the situation is not entirely different. There are only a couple of diners which will deliver, and it’s up to the customer to find out which ones offer this service. Another negative aspect of Subway’s home delivery service is that you can’t find a list of location that provides this service. If you want to perform a quick Google search about Subway diner which delivers stuff at home, you’ll probably find references to food delivery platforms like food panda or orderUp. Of course, this aspect has managed to upset quite a lot of customers. For example, on the diner’s online forum, there’s a comment posted by a disgruntled customer from India, who complains about the same old home delivery service. You can still use Subway’s catering service for your Sports night or work lunch. How do we order from Subway? Does Subway deliver? It’s possible if you know how to make an appeal. According to user reviews, the catering service is fairly good. But don’t think you can order a sandwich, check the delivery box and expect to receive your order at the front door just because you selected the “catering” service. If you still want to benefit from this service, it would be a good idea to partner up with some of your friend or work colleagues and place a bigger order. Some users wrote on the forum that Subway might be enticed into delivering your order at home if you decide to buy a big menu. So, let’s try to wrap this up. Does Subway deliver? In some situation it does, but home delivery is still off the menu. Hey Buddy!, I found this information for you: "Does Subway Deliver Their Famed Sandwiches?". 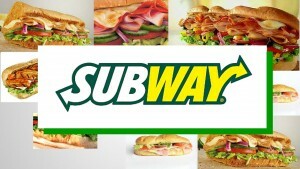 Here is the website link: https://all2door.com/subway-deliver-famed-sandwiches/. Thank you.